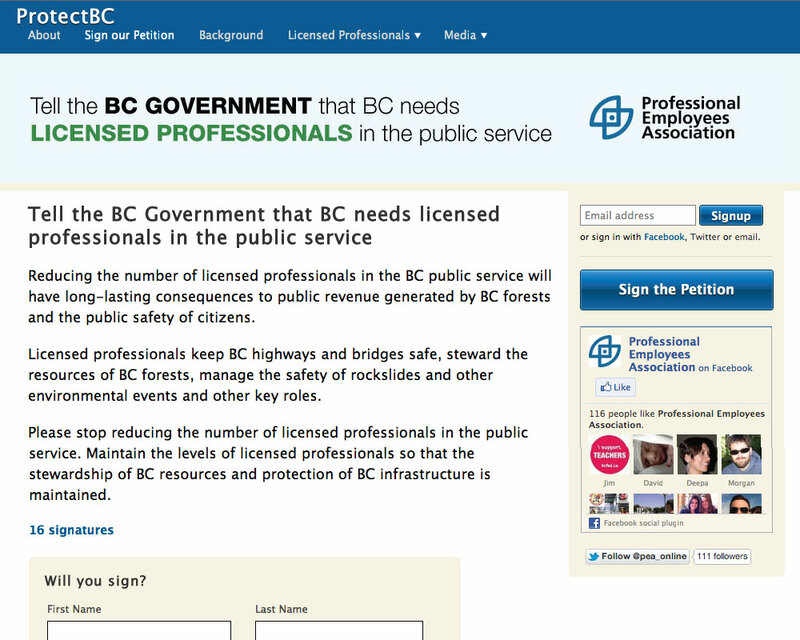 Background: The Professional Employees Association of BC is a small union of professionals in the BC civil service comprised of psychologics, foresters, veterenarians, engineers. With their collective agreement up for negotiation, the Premier of BC had made it clear she intended to remove licensed professionals from the BC public service. Faced with this prospect, the PEA launched a public awareness campaign aimed at pressuring the Premier to reverse her position.